Do you know that even the farmers are blogging? | Hey Cynthia. Do you know that even the farmers are blogging? When we talk about the peasants, in the imagination of many people a single image peeks out. A Small and curvy man, a bit ‘rough and not at all clean. If we think of a woman, jump on’ a little chubby woman dressed in rags. And apron always close at hand, at least these are the photos of past times of people who they have created from a primary need, real work that in the scale of human needs and the very first step of a great pyramid. 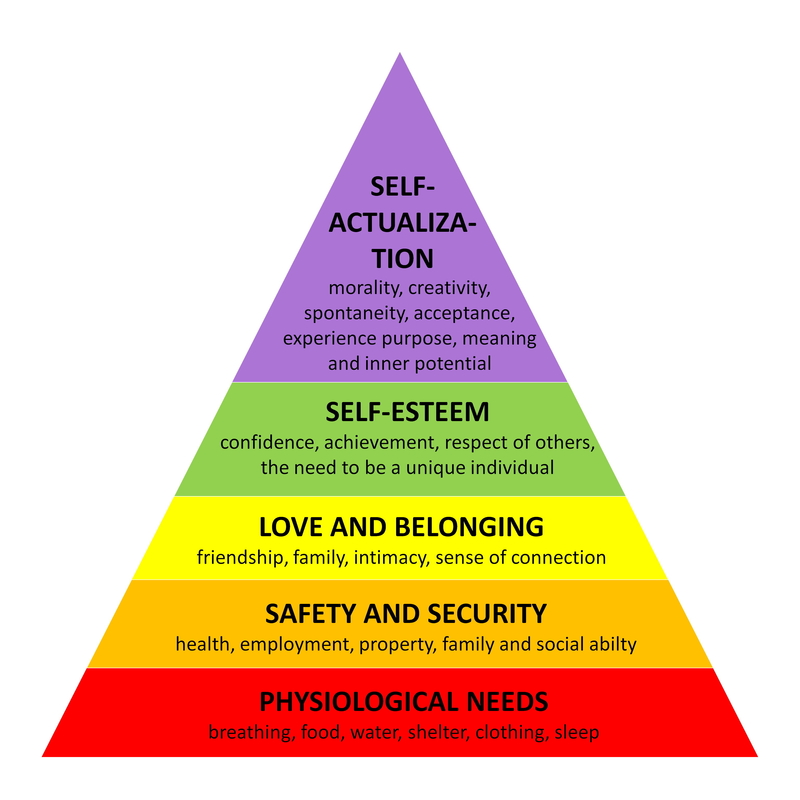 The famous pyramid of needs, and who does not know it? But let’s get back to these peasants. The farmers. Often considered poor ignorant people, who however with their ability to produce food from a piece of land, (maybe not too fertile) will always know how to get by in the event of war or other dark moments. It ‘s because if you do not know how to use a PC, you live equally but without food … let me think .. I would say that you are in trouble. Of course, the importance of Social Media, should not be ‘touched, in fact, I’m here’ to write on my blog. Yes, because I’ve been a farmer for more than four years and I have to say I’m proud of it. In fact today I am here to write something on this subject that touches me very carefully, and I would like many people to understand the importance of our work, how much passion and to love it takes to carry out a tiring but satisfying activity. I suppose that not a lot of people knows, that the farmers are very well informed. Especially the biological agriculture that leaves very little room for ignorance. Above all, Nowadays that Organic farming, cancer prevention, respect for local communities, zero kilometres and conservation of traditions and more, are only some of the issues more and more “ present in our life when we choose what to put in our fridge and on our table. Some parents understand the importance of healthy eating. They recognised the importance of safeguarding their own and their children’s health. Some people luckily have realised that the planet that hosts us must be respected. People who have understood the importance and responsibility that every day all of us and especially the farmers have in growing healthy fruit and vegetables so that each of us has the opportunity to eat instead of poisoning our bodies. Now, maybe you’re thinking; here is the usual fanatics! No, I would not say correctly, I’m just a person who wants to express his point of view and has the right as everyone in the world. Others will think about would be nice to have the chance to buy organic foods. But it will be too expensive compared to conventional food !!! Even here, it’s an insane thought. There are alternatives to supermarkets (and I beg you big companies …) I do not want to; I have nothing against anyone. But maybe suggest buying directly from the manufacturer, where it is apparent costs much less, where you go ‘to support local activities, who love to help you and who love to treat our planet with love. I hope you know how to smile and have fun reading what I have written, how I smile when I hear people saying; let’s go to the country today, so I put on a hat, a straw in my mouth and I’m a farmer. The food we put every day on the table must also feed our Earth.